Beautiful old-world elegance meets contemporary comfort at this boutique inn. 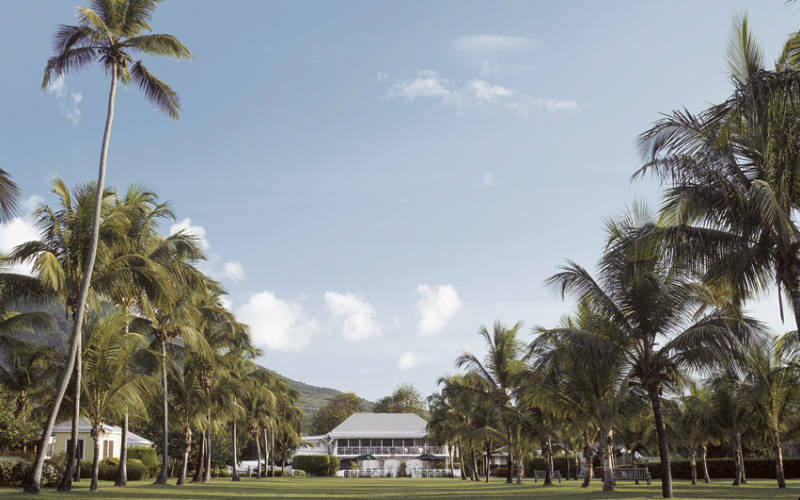 Found amid lush groves by a white-sand beach, the Nevis Plantation house has the relaxed informality of a private country estate, filled with the charms of its historic origins. 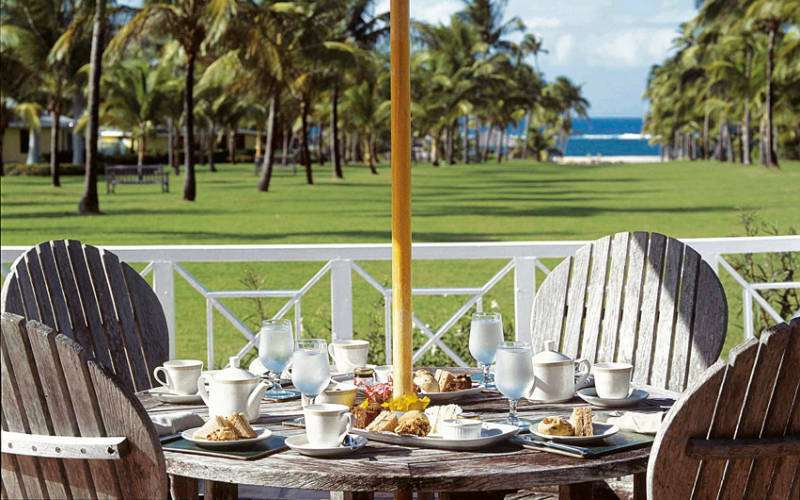 It is also the islands only plantation inn located directly on the beach. 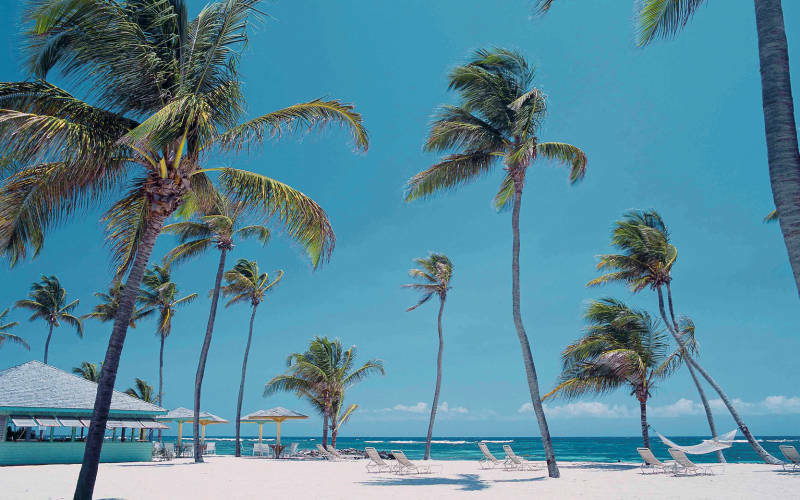 From the croquet lawn and 18th-century Great House to the avenue of palm trees that leads to the shimmering shore, you will be transported back to a more gracious time, without sacrificing your modern comforts. Elegant and refined yet delightfully informal with excellent personalised service. With just 36 rooms. 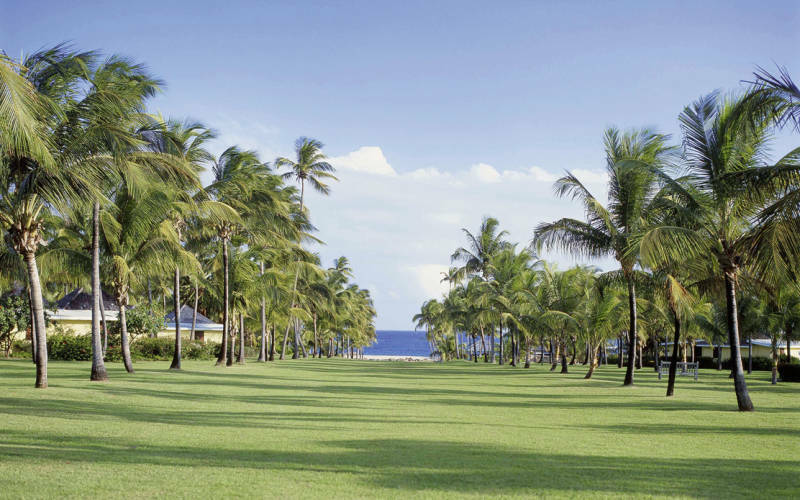 A truly beautiful setting, an expanse of manicured lawns, palms trees cascading down to the beach. 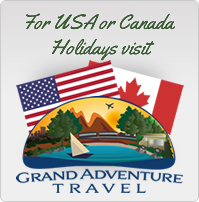 If you are looking for a true colonial Caribbean holiday experience – this is the perfect choice for you. Both Clare and Debra have visited the property so can offer first hand knowledge and advice. In coconut groves by a white sand beach. Airport transfer time is 20 minutes from Charlestown and approx. 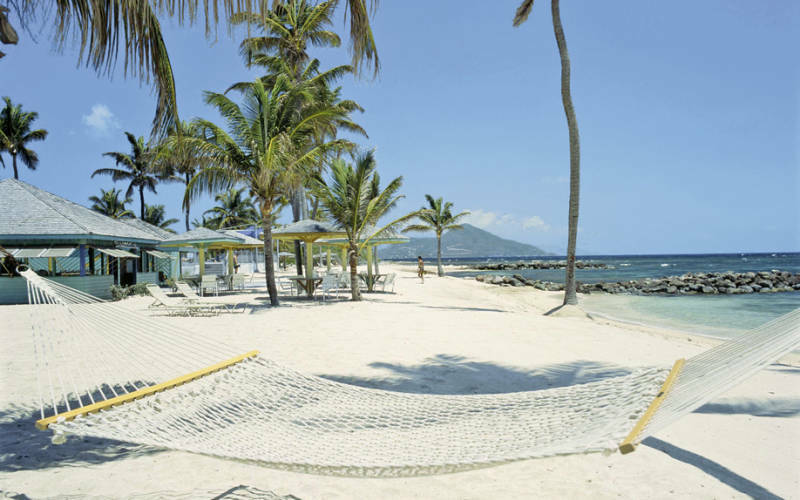 50 minutes by boat and road from St Kitts airport. 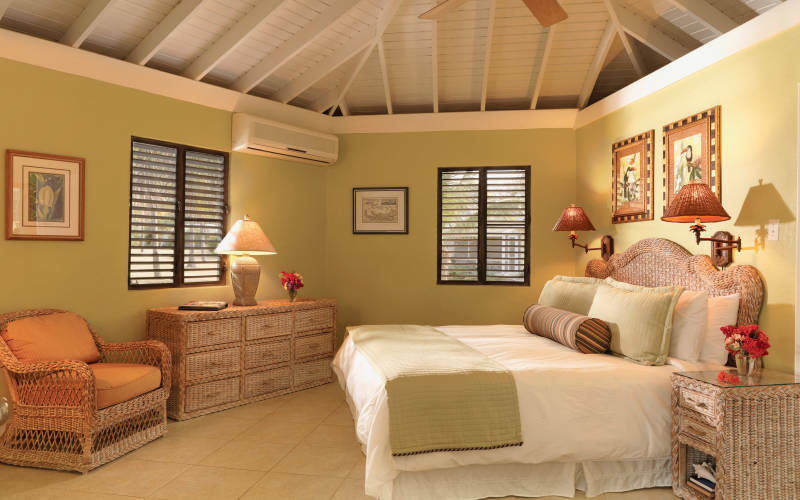 The elegant cottage-style rooms are dotted throughout the gardens and have high traditional Nevisian white ceilings, wicker furniture, and a lemon, pale green and peach colour palette. 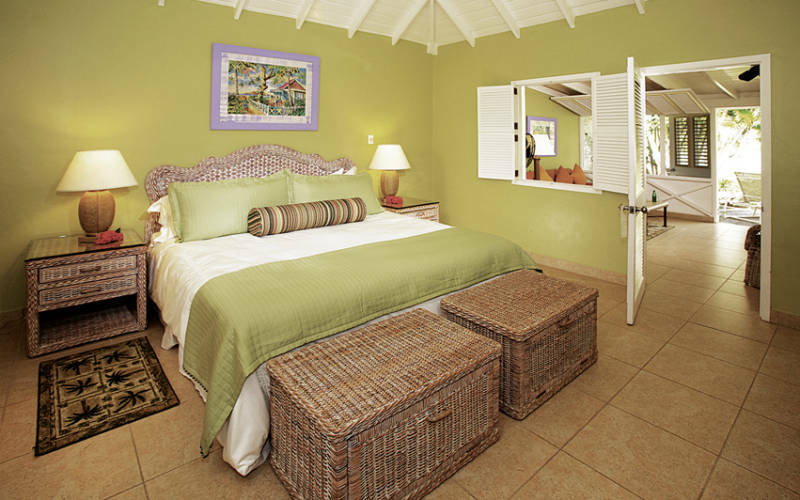 Superior Room – Peaceful rooms in semi-detached cottages, set either side of the avenue of the palms close to the Great House and an easy stroll from the beach, with tasteful authentic Caribbean decor, a screened porch and terrace. Sleeps maximum 2 people, with air-conditioning, ceiling fan, tea and coffee facilities, minibar, free Wi-Fi, shower and a balcony or terrace. Deluxe Garden Suite – Spacious rooms in semi-detached cottages, set further back in the middle of the resort overlooking the gardens and a short stroll from the beach and the Great House. There is a separate living area with pull-out sofa bed and a terrace. Ideal for families, sleeps maximum of 4 people. Also available as interconnecting rooms. With air-conditioning, ceiling fan, tea and coffee facilities, fridge, free Wi-Fi, shower and bath with balcony or terrace. Lower Deluxe Junior Suite – Set on the lower level of a two-storey cottage and closest to the ocean, these rooms offer open plan living and feature a sitting area with sofa bed, bedroom with bed set on a raised wooded plinth, wet bar and patio, opening out on the garden with views of the avenue and beach. Sleeps maximum 4 people. With air-conditioning, ceiling fan, tea and coffee facilities, minibar, fridge, Wi-Fi, shower and bath, terrace. Upper Premier Junior Suite – Set on the upper level of a two-storey cottage and closest to the ocean, these rooms offer open-plan living and feature a sitting area with sofa bed, bedroom with bed set on a raised wooded plinth, wet bar, balcony and sea views. Sleeps max. 4 people. With air-conditioning, ceiling fan, tea and coffee facilities, minibar, fridge, Wi-Fi, shower and bath, balcony. Coconuts The poolside restaurant provides a relaxing, al fresco start to the day for breakfast. Weekly beach barbecues are a fun way to enjoy a relaxed dinner. Sea Breeze Beach Bar Enjoy a relaxed lunch or snacks here, toes-in-the-sand-style and try some delicious signature tropical cocktails. 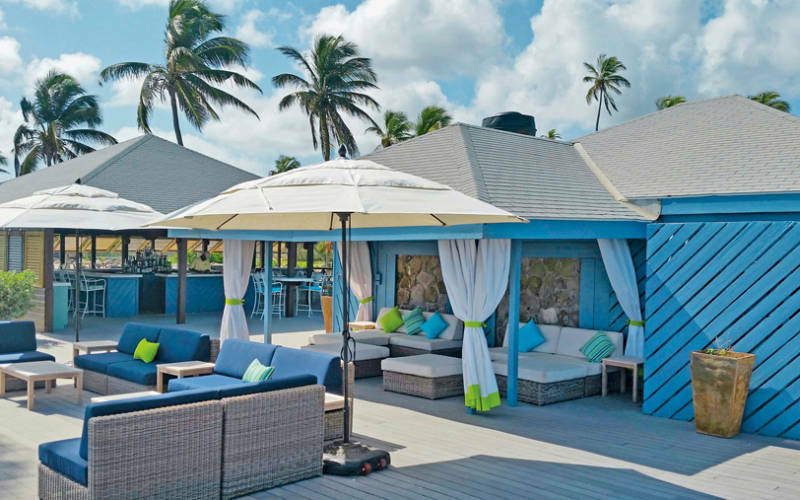 The Great House – The resorts jewel In the crown, beautifully-restored and an effortlessly elegant venue serving dinner six nights a week including Nevisian night on Mondays. 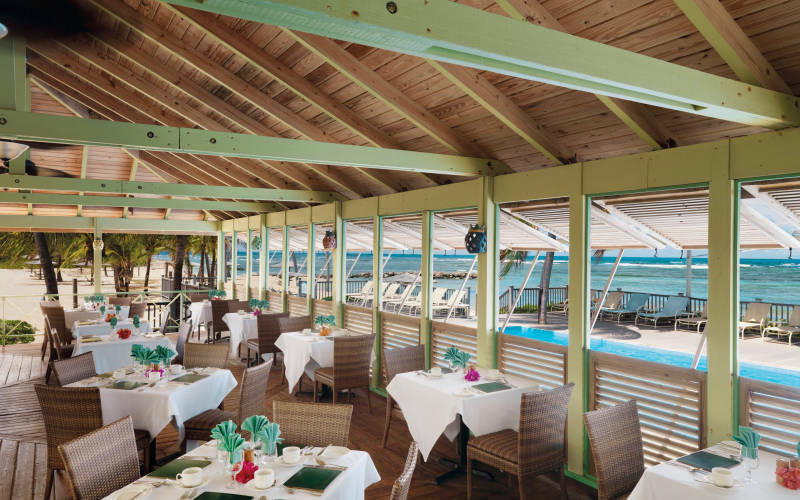 Offering a spectacular menu of innovative island fare that changes daily. An indulgent Traditional English Afternoon tea, served on the terrace in front of the Great House, is a must.